For people who fancy designer plush for their puppies, this blog talks about the beauty of pet pampering and the different fun products you can buy. 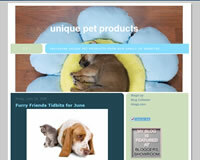 Site featuring unique pet products from our family of websites. 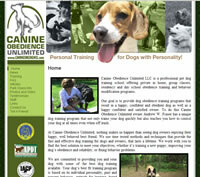 We offer at home dog training, dog obedience class and board and train programs to all ages and breeds of dogs. This blog is about our dogs, Jake and Phoebe, and some of the challenges and joys of having them as members of our families. We also explore pet related issues such as training, behavior (both animal and human! ), travel, the pet industry, etc. The Canine Critique is a blog full of all things dog! 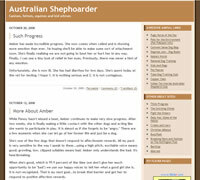 From doggy news, reviews on all doggy foods, supplements, toys, etc.etc. Written by a dog, for dogs! Anything and everything pet-related. I discuss cats and dogs and blend funny and light-hearted stories and posts with a mix of informational articles as well. I encourage sharing of all types! This site is for the most dedicated of pet-lovers! Wimsey is a mischievous bloodhound who lives on the upper west side of Manhattan and keeps a weekly humorous diary of his life and views. He is a show dog, children’s book author and perhaps America’s worst behaved canine model. 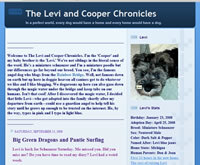 Personal reflections blog by Coastal Pet Rescue’s president and founder. See what happens behind the scenes in the world of pet rescue. Pet rescue and information blog presented by Coastal Pet Rescue in Savannah, Georgia.